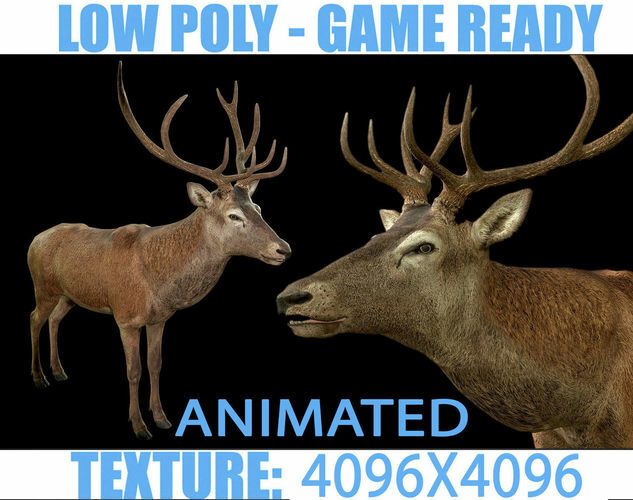 Deer animated low-poly 3d model rigged animated ready for Virtual Reality (VR), Augmented Reality (AR), games and other real-time apps. 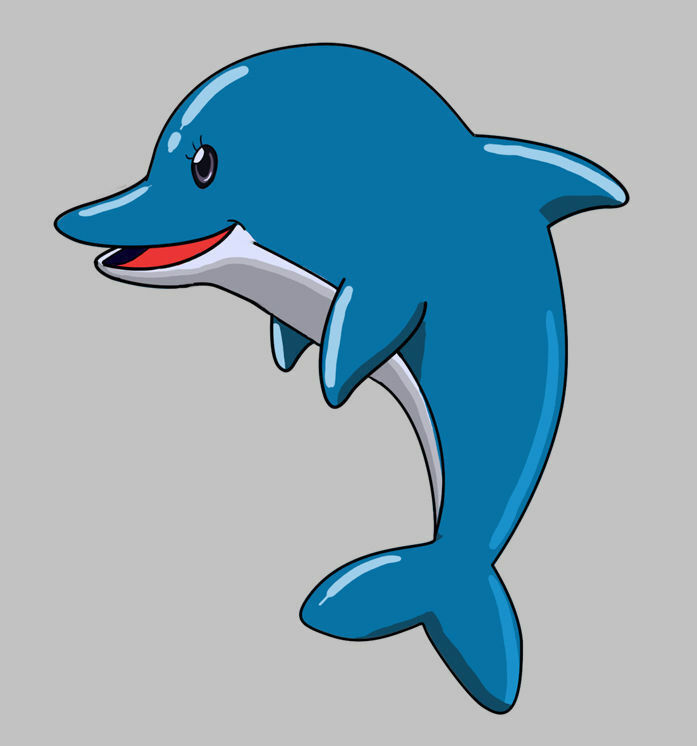 High detailed hd 3d model animation. A low poly model of a Deer animated rigged and textures. Has facial bones to contol lips, braw and eyelids. Great for games and animations. Texture 4k(4096X4096) Diffuse map: (4096X4096) Specular map: (4096X4096) Gloss map: (4096X4096) Normal bump map: (4096X4096) Animations: 75 Look_Down Look_Left Look_LeftDown Look_LeftUp Look_Right Look_RightDown Look_RightUp Look_Up Neutral CanonBall Death_Lying Death_Sitting Death_Stand Food_Eating Hit_Lying Hit_Sitting Hit_Stand Jump_Run Jump_Trot JumpStand Loco_Run Loco_RunL Loco_RunR Loco_Sneak Loco_SneakL Loco_SneakR Loco_Sprint Loco_SprintL Loco_SprintR Loco_Trot Loco_TrotL Loco_TrotR Loco_Walk Loco_WalkL Loco_WalkR Loco_WalkSlow Loco_WalkSlowL Loco_WalkSlowR Lying_Breathing Lying_Idle Lying_Idle_1 Sitting_Breathing_01 Sitting_Idle_01 Sitting_Idle_02 SittingSpec_Breathing_01 Stand_Breathing_01 Stand_Eating_01 Stand_Idle_01 Stand_Idle_02 Trans_Lying_to_Sitting Trans_Lying_to_Stand Trans_Siting_to_Lying Trans_Siting_to_Stand Trans_Sitting_to_Lying Trans_Sitting_to_Stand Trans_Stand_to_Lying Trans_Stand_to_Run Trans_Stand_to_Run_3f Trans_Stand_to_Siting Trans_Stand_to_Sitting Trans_Stand_to_Sneak Trans_Stand_to_Sneak_3f Trans_Stand_to_Sprint Trans_Stand_to_Sprint_3f Trans_Stand_to_Trot Trans_Stand_to_Trot_3f Trans_Stand_to_Walk Trans_Stand_to_Walk_3f Trans_Stand_to_WalkSlow Trans_Stand_to_WalkSlow_3f Trans_TurnL Trans_TurnR A low poly model of a deer fully rigged and textures. Has facial bones to control lips, braw and eyelids. Thank for interest!